Just because a person is elderly or disabled & has mobility issues, it does not mean they no longer appreciate great design. Livinghouse has put together a collection of folding shower seats, waterproof shower chairs & bathroom stools that have been selected for their great engineered quality & beautiful contemporary styling. We can supply shower seats that tidily fold up when not in use. 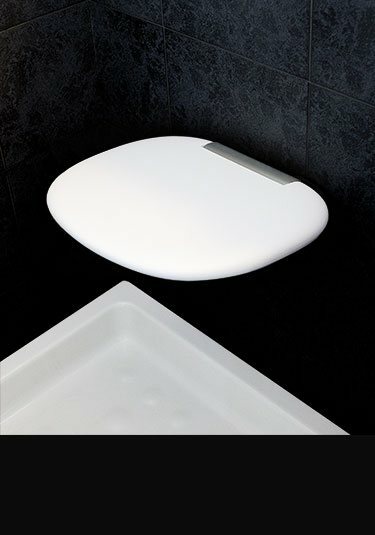 We have wall mounted shower seats as well as floor mounted ones in white, black red & cream. Stylish looking and strong, this contemporary folding shower seat is ideal for disabled, elderly and the whole family. 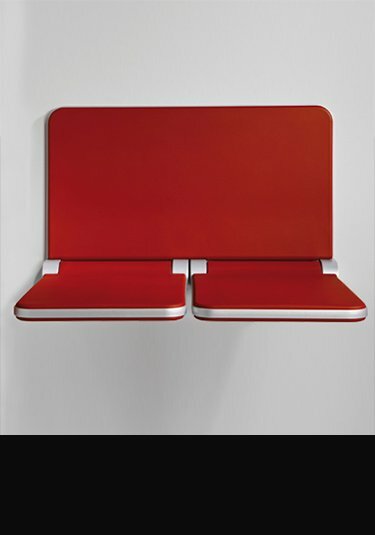 Designed to be wall mounted and fully waterproof, this seat easily folds away when not in use. European made with 10 year guarantee. 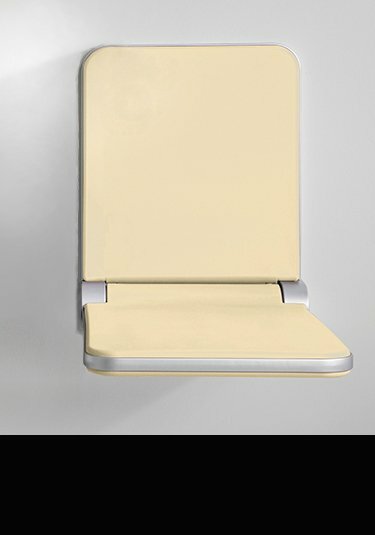 This contemporary wall mounted shower seat can be folded away when not required. Suitable for showers, wet rooms and saunas, this waterproof folding seat is also a stylish addition for the old and infirm who may be suffering mobility issues. Designed for mobility and accessibility bathrooms in Germany for the disabled and elderly, this folding shower seat is contemporary and stylish and is often used in family bathrooms and steam rooms. An extremely comfortable shower seat with a backrest in the latest European styling. Completely waterproof as well as steam proof, this folding seat is a stylish addition to a contemporary bathroom design. Also ideal for the elderly and disabled with mobility issues, but still desire beautiful styling. This double folding shower seat is designed for 2 people and is in the latest modern styling. This wall mounted comfortable seat with backrest can be simply be folded away when not required. Ideal for the elderly with mobility issues who would like contemporary and non-clinical styling. Lovely quality and good looking.